Why should my student participate in a Global Perspectives trip? LEEU 102A: Global Perspectives Seminar (1 credit hour) – LEEU 102A is the required 6 week seminar that serves as the prerequisite and pre-departure orientation for student’s cross-cultural experiences. When should students begin planning their cross-cultural experience? Are transfer students required to participate in a cross-cultural experience? Yes. The Global Perspectives credits are requirements of the university’s core curriculum and must be completed by every student in order to graduate. Early planning is the key to successful experiences. Students will have more options and better success at integrating the requirement into their field of study if they start researching early. Consider personal and academic objectives, long-term career goals, and preferred culture before planning a course of action. For more information about when a student is allowed to participate in a cross-cultural experience, see the question “Who can participate in a cross-cultural experience?”. Who can participate in a cross-cultural experience? All qualified students in good academic standing that have completed a minimum of one full semester, equal to 12-15 hours in residence on the Lee University campus, and the prerequisite LEEU 102A Global Perspectives Seminar may apply for participation in a cross-cultural experience. Prospective students or students from other institutions are not eligible to participate in global perspectives trips. When do most students take their Global Perspectives trip? Does studying abroad prevent students from graduating on time? With careful planning, cross-cultural experiences can fit right into degree programs so that graduation will not be delayed. If students do end up taking an extra semester to graduate, the benefits of the experience far outweigh any disadvantages of staying in school longer. May a student participate in a trip and take less than the number of credit hours offered? No. One of the most attractive aspects of the cross-cultural experience requirement is the opportunity for intellectual exchange between professors and students in an international environment. Otherwise, a cohesive study group can become merely a fragmented tour group. In addition, it creates extra work for numerous administrative offices to track any exceptions made for program participants. What Global Perspectives options are available for me? 1. 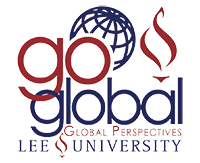 Option 1: Participate in one of Lee’s many school-sponsored Lee Global Perspectives Trips. Participating in a global perspectives trip is by far the most popular option at Lee. Every year, the university offers between 25-30 programs led by our faculty. Not only can students fulfill their cross-cultural requirement by participating in a Lee-sponsored trip, but they will probably be able to find a trip that offers course credit within their major. Students must decide early in the fall semester of the preceding year whether or not they plan on participating in a faculty led trip in the summer. For example, if a student plans on going on a trip in the summer of 2017, he/she must decide and pay his/her deposit during the fall of 2016. This is necessary in order to make reservations and to obtain reasonably priced airline tickets. It also allows the Financial Aid Office to determine how much, if any, financial aid can be applied to the student’s personal trip cost. 2. Option 2: Apply to conduct an Individually Arranged Cross-Cultural Study. Some students choose to research and design their own cross-cultural experience. This option can fulfill the cross-cultural requirement if the experience is designed to intentionally undertake the study of another culture with that academic goal explicitly in mind. To conduct an Individually Arranged Study, the student must first submit an application to the Global Perspectives Office by the deadlines as specified on the Global Perspectives website. This form is completed and submitted online at the Global Perspectives site. The application will then be submitted, on the student’s behalf, to the Global Perspectives Committee which determines whether or not it is approved. If the student is approved, he/she will be registered for GNST 250 for the semester during which he/she plans to conduct the experience, and the student will be required to pay for the class, confirm enrollment, and attend one class meeting before he/she goes. 3. Option 3: Submit and have approved a Petition for Exception to the Cross-Cultural Experience Requirement. Students who have had significant cross-cultural life experiences prior to coming to Lee may qualify for exemption from the cross-cultural requirement. There are clear institutional guidelines in place for students who may receive exemption from the cross-cultural requirement. These guidelines have been approved by external accreditation agencies. It would be both illegal and unethical to grant students academic course credit for experiences that do not fall within the parameters for exemption. To be waived from the cross-cultural experience, the student must first submit a petition to the Global Perspectives Office by the deadlines as specified on the Global Perspectives website. The application will then be submitted, on the student’s behalf, by the Director of the Global Perspectives Program to the Global Perspectives Committee which votes whether or not to approve it. Even if the student qualifies for an exemption, he/she may still participate in a global perspectives trip or an individually arranged cross-cultural experience. There is always more to learn about the world. What is the application process for Global Perspectives trips? The application process for each Lee Global Perspectives Trip is determined by the trip director. Some require references and conduct interviews while others simply request a one-page application. All applications begin online through Portico. How do students register for classes offered on Global Perspectives trips? The trip director will submit a listing of accepted student participants along with their registration information to the Record’s Office. What does a Global Perspectives trip cost? How will I afford a Global Perspectives trip? Costs vary from year to year dependent upon location, exchange rate of currency, fuel costs, etc., and are determined by the respective trip directors. However, we ensure that there are financially viable options for all students. Most of the cost of a faculty led trip goes toward plane tickets and transportation, as tuition is heavily discounted on the trips. There are several non-international faculty led trip options available for students which are cheaper than the international trips. Students may also plan and budget their own Individually Arranged Study in order to have more control over the finances of their trip. Also, the local church study option for fulfilling the cross-cultural requirement is essentially free. Because students are only attending a local church of another culture, they do not have to pay for plane tickets or tuition for classes other than the GNST class. Is financial aid available for Global Perspectives trip participants? Each participant is considered on an individual basis. All potential trip participants should file for financial aid as soon as they are accepted into a program in order to receive federal money, private loans, and academic scholarships. Money cannot be applied to the student’s Business Office account until all necessary documents have been turned in (i.e. the Financial Aid Application for Global Perspectives Trips and/or Summer School, FAFSA for the current year), the student has been awarded for summer, and the student has completed registration and made a down payment with the Business Office (this is not the same as making the trip down payment). To find out more about financial aid for Global Perspectives trips, visit Financial Aid or contact the Lee University Financial Aid Office. What is the Lee University Health Clinic policy for Global Perspectives trip participants? Every student/faculty/staff/chaperone/sponsor traveling out of the U.S. must have a current physical exam on file with LUHC. No “waivers” will be allowed. Refusal to obtain a physical will negate travel. Physicals will be provided by LUHS for a small fee not included in the trip price. Students are also required to have on file verification of MMR and Varicella vaccinations that are required for Lee University Admissions. Trip Directors are responsible for arranging health services for their trip participants. May friends or family members of students participate in a trip as well? Friends and/or family members may not join a student on a trip unless there is a medical need for a parent/guardian or spouse to accompany a student, or if the person is providing a needed service for the trip (i.e. a parent who is a doctor and accompanies a medical missions team). Can students study abroad in a non-English speaking country if they do not speak the language? All of Lee’s programs offer courses taught in English with the exception of those where foreign language proficiency is the focus.